Cake Submitted by Kim S. from Fresno, California. 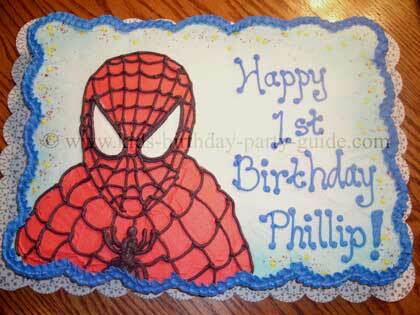 For this Spiderman birthday cake I used 40 cupcakes and cut the tops off each one for an even surface. I placed them side to side to form a rectangle. I frosted over the top of all of them to look like a cake. Decorated it just like it was a regular cake! I drew the picture on with a toothpick, and then frosted and decorated it to look like Spider Man!